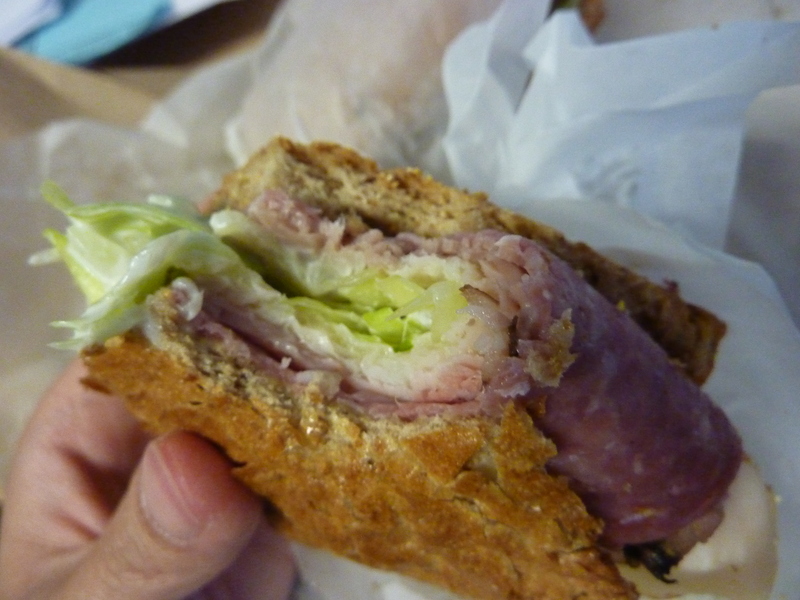 For the first edition of our Sandwich Fights From the Drag, I had to begin with Potbelly. It is one of the first places I ate at when I came to UT. 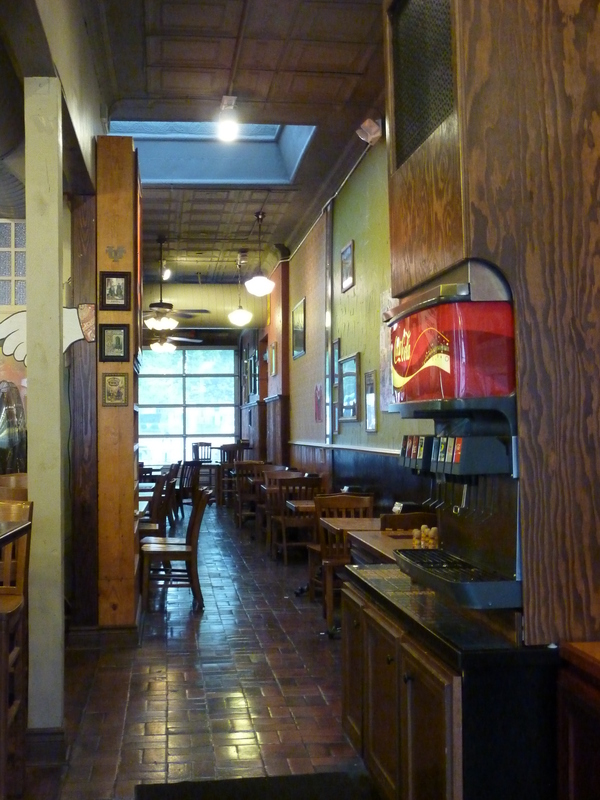 I first met Potbelly in the DFW area, actually, when I was still trying to figure out where I wanted to go for college. We arrived the day before I was set to tour colleges and it was dinner time. My dad and I were starving as we were figuring out where we wanted to eat. Soon, we came across a small building with the strange name “Potbelly.” I asked my dad about it and he said it was a rather popular sandwich shop some people liked and he knew of some clients that raved about the place. 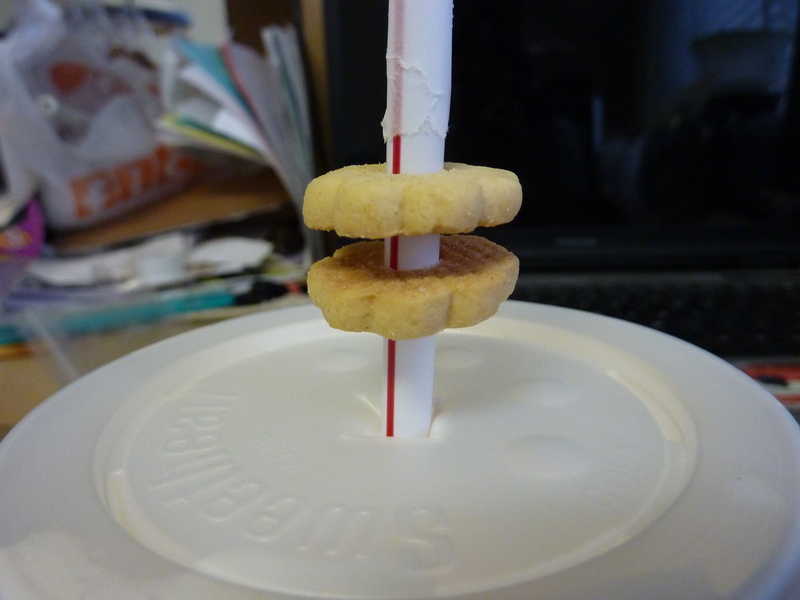 We decided to give it a try. Mmmm! It was yummy! 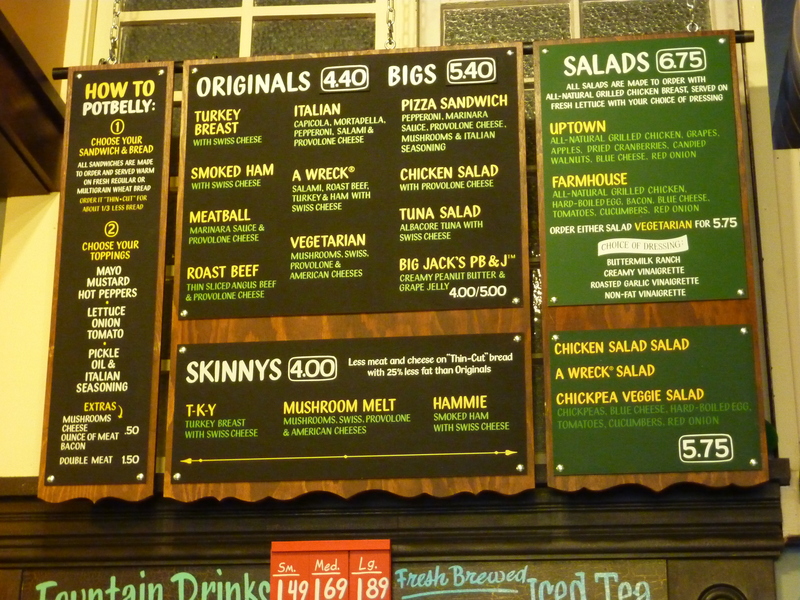 Mostly the sandwiches are fixed (kind of like Quizno’s), but they are made fresh to order with your choice of toppings. I ordered the Wreck on white (the roast beef was calling to me!) and my dad the Italian on wheat. They were both delicious with crunchy toasty bread and warm savory fillings that quickly filled us up. I also think the lettuce and mayo give an added sweetness that is just right with the salty luncheon meats. I have never had their salads, but I am told the Chicken Salad is very good as a salad or on a sandwich. They're so cute! And tasty! An interesting note is the décor of Potbelly. 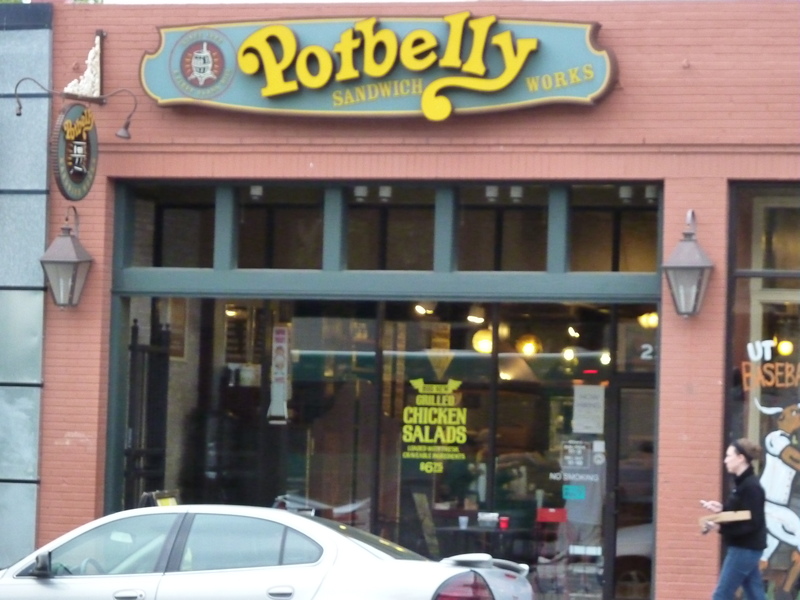 Potbelly first started out as an antique store that sold sandwiches and soon the sandwiches took over the store! The antique furnishings are a nostalgic callback to the original store’s intent and I feel gives a more comfy feeling with wooden counters and old-fashioned signs hanging around the restaurant. Each restaurant is unique in its decorations and has a general theme, but is individual in tastes. The Austin location has to have Longhorns! I appreciate the warm feeling of the restaurant that invites its diners to rest, relax, and eat well. When we finally went to visit Austin, we discovered a Potbelly on the Drag as well! Super hungry and in the mood for a sandwich, the sandwich was just as yummy in Austin as it was in Dallas. It was also great to see the unique decorations of the restaurants. There is a small stage in the back for live performances, keeping up Austin’s music tradition. There is lots of seating in the back with cozy booths that are my favorite place to sit. If you're interested in "how to Potbelly"
The people have always been nice since I’ve been there and are patient in taking your orders for toppings. The price is also pretty great since a sandwich can pretty much fill you up or leave leftovers for less than $5! Awesome for the expensive prices on the Drag these days. You can also order it online and delivery, how fun is that? Overall, I really enjoy Potbelly and find that, if I have no idea where I want to eat that day, I can always fall back on Potbelly. Rating: 😛 😛 😛 😛 😛 for delicious sandwiches, limited customization, great prices.